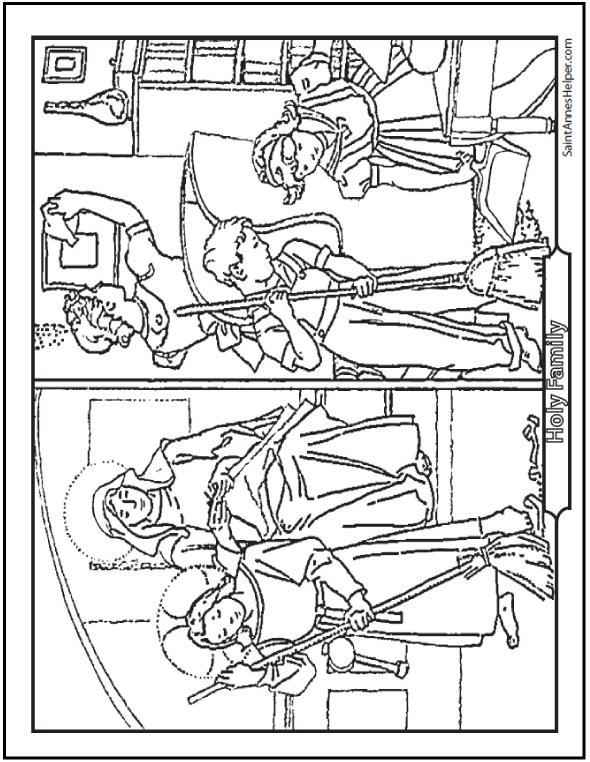 This is one of my favorite Bible coloring pages for kids. 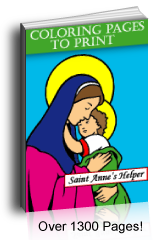 It shows a sweet picture of Jesus helping Mary next to a picture of children helping mother. Jesus is sweeping while Mary sews and the children are sweeping while mother dusts. Great for Bible class or teaching the Ten Commandments. The Fourth Commandment is, "Thou shalt honor thy father and thy mother." Teach the Fourth Commandment from the Bible.